Strategic gardening is one good way of protecting your home and your family from potential threats. 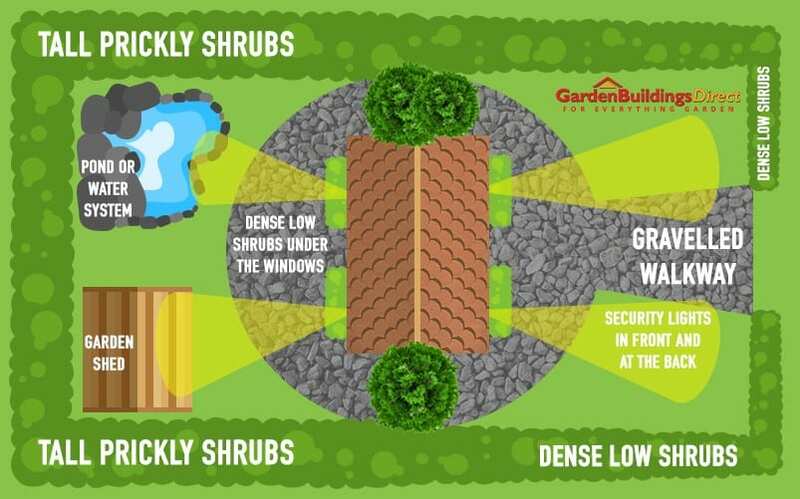 Take a look at how defensive gardening can work wonders! Here’s a little pop quiz for you: What comes to mind when you hear ‘Defensive Gardening’? 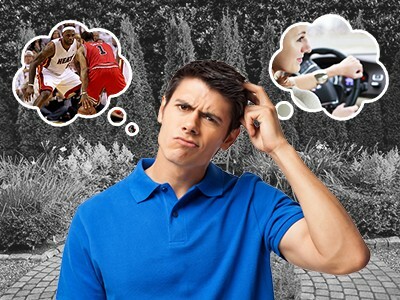 You’ll probably think of driving or basketball when you hear the word ‘defensive’. But what about defensive gardening? What’s with defensive gardening that someone would spend some time writing about it? Simply put, defensive gardening is somewhat a type of home security defence using, well, plants. There’s more to it than that, though. It could also be about landscaping, how you would build your garden, and what garden buildings and essentials you need to have around. 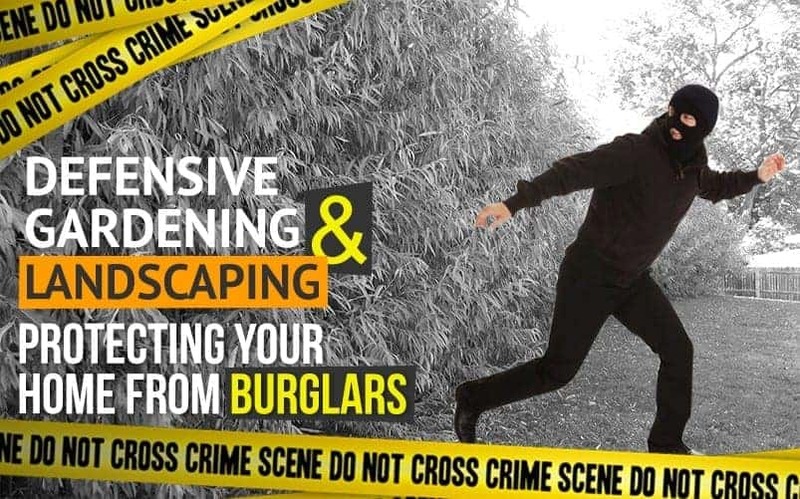 If you think about it, homes with tall grass and untrimmed bushes may well be deemed as a perfect place burglars would want to haphazardly break into. 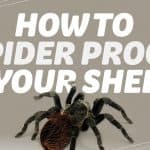 While it can mean that the homeowners don’t spend a considerable amount of time tending their outdoor space, it could also hint that they are always outside of their homes, or away on long vacations—and burglars would certainly go bonkers upon knowing this! 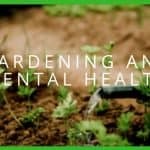 If you’d like to have something to guard you and your property while you are on long vacations or just want to have a lasting home security defence day in and day out—besides relying solely on expensive sensors, security lights, and other equipment—defensive gardening might be what you need. 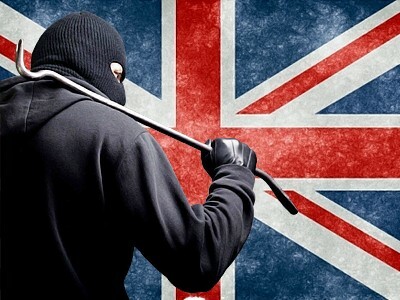 According to the Crime Survey for England and Wales report released on 16th October 2014 by the Office for National Statistics, an estimated 7.1 million crime incidents were done in households and against resident adults aged 16 and over (year ending June 2014). On the same report, there were an estimated 779,000 incidents of domestic burglary, down by 12% from the previous year where 882,000 incidents were estimated to have happened. Although the decrease in the theft offences is something to be happy about, it still is imperative that we take precautionary measures to protect us from any danger and keep our homes secure. What does defensive gardening give me? For one, defensive gardening allows you to have a more appealing and environment-friendly alternative to a bulky security essential, say a fence. If you’re planning to plant bushes to form hedges along the front yard, you’d definitely want to keep the height to a certain level (not more than 3 feet). This is so you can still see the pedestrians and quickly check what’s happening outside. With this set-up, you can easily detect any suspicious activity. On the other hand, the backyard is where you’d want to have relatively higher hedges. Whatever’s not covered by the naked eye (or security systems for that matter) will surely get taken care of if you have high hedges. With prickly plants around, identifying thieves and burglars comes pretty easy. Drops of blood, DNA samples, and shreds of cloth might come in handy for the police. But before that happens, you’d definitely want to have things nailed tightly in place. How do I use defensive gardening and landscaping to protect my home from burglars? 1. Begin by growing hedges. 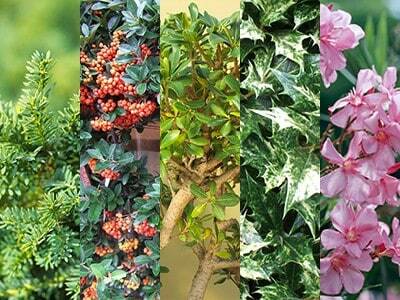 Boxwood – If you’d like to go for formal clipped hedges, boxwood will definitely show up on the list. 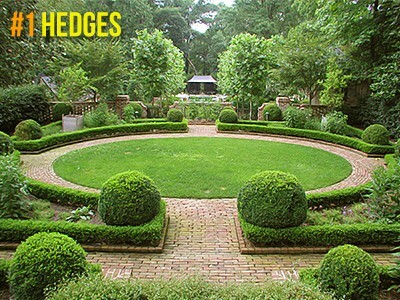 Boxwoods, also known as Buxus selections, make for perfect hedges as they can withstand constant trimming. 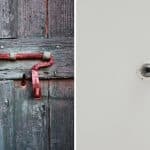 With this feature on hand, you can easily shape them into perfect boxed hedges or any geometric shapes you find both appealing and theft-deterrent. Juniper – Considered as coniferous shrubs that belong to the cyprus family Cupressaceae, Juniper plants are considered one of the most versatile types of plants. Easy to prune, Juniper plants respond well to frequent trimming, making them one of the best types of shrubs to use when building hedges. 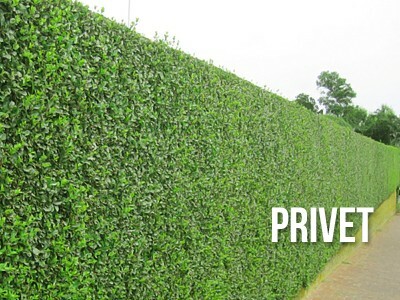 Privet – Growing as high as 10-12 feet, privet, also known as Ligustrum x vicaryi, is a another type of hedge-worthy plant that’s easy to prune and maintain. This drought-tolerant plant can easily take an attractive vase shape even without constant shearing. What makes this plant wickedly beautiful are the white flowers it bears during the spring season. Canadian Hemlock – Native to eastern North America, Canadian Hemlock, also known as eastern hemlock or Tsuga canadensis, is a coniferous tree that grows well in shade and grows up to 40-70 feet. If properly sheared and pruned, the Canadian Hemlock can easily pass for an effective evergreen screen. 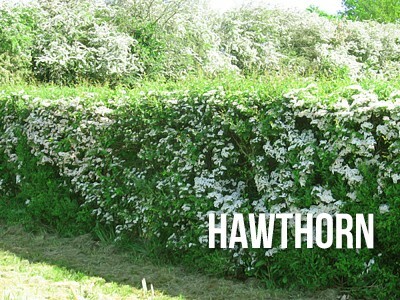 Hawthorn – Also known as Crataegus monogyna, Hawthorn is a type of shrub that is unique to European, northwest African, and western Asian gardens. The shrub can grow up to 5-15 metres tall. Its thorny branches make this wonder shrub impenetrable therefore making it a great hedge option. Top tip: To prevent your hedges from growing unhealthily thin, you can do constant nipping. This will make the bushes grow properly and densely. But if you’d still want to have a fence put up, you can plant prickly shrubs around or at the bottom of the fence to keep burglars at bay. While it is suggested that you grow hedges for security purposes, there’s one law that provides you with guidelines when growing them. Before planting bushes to form hedges, make sure to discuss it with your neighbours as the hedges may affect them once they grow and start invading nearby spaces. Part 8 of the law gives local authorities the power to look into complaints filed by people who are adversely affected by the height of the hedges. This is mostly experienced when the hedges grow to a certain height thereby cutting out light for neighbours. If proven to be invasive, the hedges may be cut down and the owners made liable. Noise and unwarranted commotions are a thief’s worst enemies. 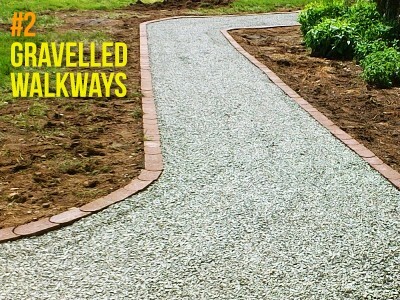 Capitalise on these by spreading gravel on the walkways. Loud crunchy steps can easily get your attention, signalling that there might be a suspicious activity outside. And bam! Way to shoo those creeps away! 3. Add prickly plants under the windows. Any openings need to be protected and made impenetrable. You can do so by planting prickly plants under windows. This way, burglars can easily be detected. Even better, they will no longer consider breaking into your house. As you know, a burgled house will do a number on your wallet especially if you do not have solid home insurance policies. 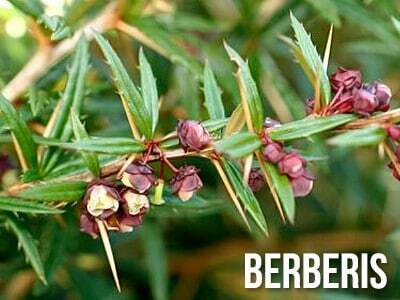 Berberis – Considered as a deciduous and evergreen shrub, Berberis can grow from 1-5m. It has prickly spines on the shoots and on the leaves, making this shrub a great shield. Burglars would not want to get pricked. Else, they’d easily get identified by the police. 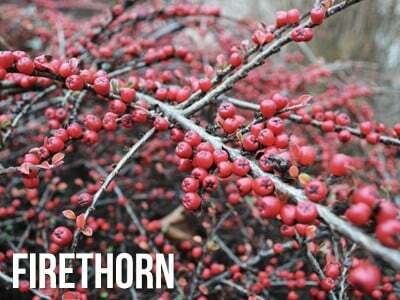 Firethorn – Also known as Pyracantha, Firethorns are so spiky that thieves would not dare go anywhere near them. This ornamental evergreen shrub produce creamy white flowers in spring. 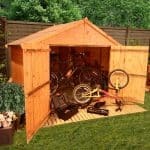 Not only do they add beauty to your outdoor space, they also provide you with protection and added security. 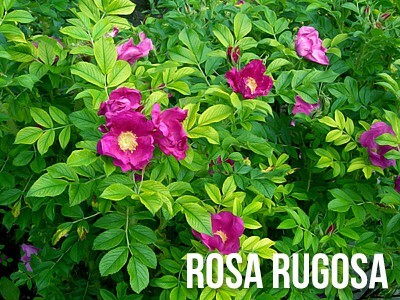 Rosa Rugosa – With colours varying from white to dark pink, Rosa rugosa, also known as Japanese rose, can easily pass for a great outdoor defence. Its white and pink flowers bring an added glow to your outdoor space. But make no mistake. Its prickly thorns are so wicked they’d leave any thieves or burglars frustrated, or you know, pricked. 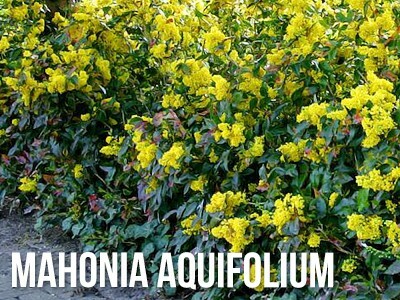 Mahonia aquifolium – This evergreen plant grows from 1-5 metres tall. Popularly known as Oregon-grape, this shrub has spiny leaflets and bear yellow flowers in spring. Blackthorn plant – Native to Europe, western Asia, and northwest Africa, the Blackthorn shrub, also known as Prunus spinosa, has pointed spur shoots, making this deciduous shrub a perfect fit. If you are the type of homeowner who loves to have expensive and upscale garden furniture, you would definitely want to secure them especially if you are always out on trips. 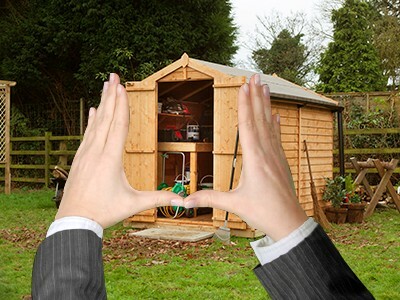 You can always have trusty and stylish garden sheds where you can store them away when they’re not in use or when you’re planning to go on long vacations. 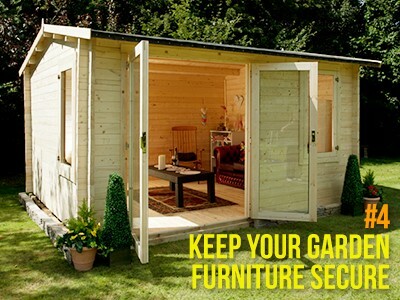 Easy-to-store garden furniture sets always come in handy. Not only do they provide comfort and aesthetic appeal, they also make keeping your outdoor space organised easier. 5. 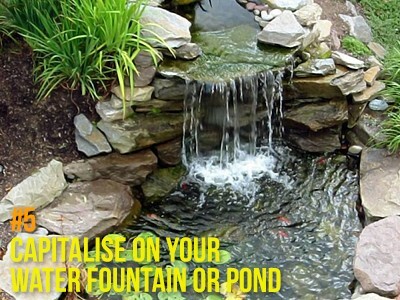 Capitalise on your water fountain or pond. Or if you don’t have one, you might want to consider having a small pond right under the fence. As with any other features in the garden, having ponds will help you shoo away potential threats. Imagine a thief climbing over the fence and landing in a pond filled with murky water! The pond not only provides a relaxing addition to your garden, it also serves as a barrier keeping thieves and burglars away. Some people think that having tall trees around provides thieves with shade and cover. Well, that’s mostly true. 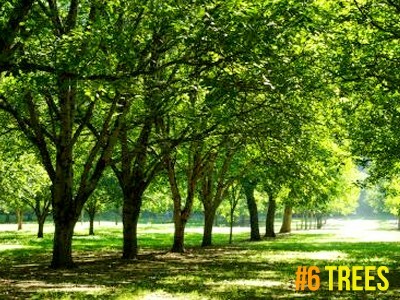 But with proper planning and selection you’d definitely find planting trees in key areas a smart move. What trees do I plant? 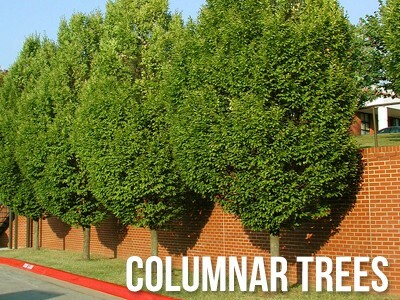 Columnar trees prove to be one of the most effective types of trees when it comes to defensive gardening. This type grows to narrow columns, providing you with enough privacy screen while giving you enough room to detect any suspicious activity. Some of these trees include columnar pines, columnar spruces, aspen, birch, and regal prince oaks. Thorny trees are also a good choice. These are your prickly shrubs and deciduous plants—only bigger and more dangerous. A few examples of these trees are lemon and lime trees, silk frost trees, hawthorn, cockspur thorn, and Caspian locust. Strategic landscaping may well strengthen your home security. Carefully planning where to put key security equipment and features make for a reinforced security (back off, thieves!). With proper planning, you can make you and your home free from any danger. 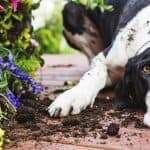 So when you think that your existing home security system won’t quite cut it, what you can do is get in your overall, take out your shovel, and start planting!